All the blocks are ready for Pergola, my newest quilt pattern. 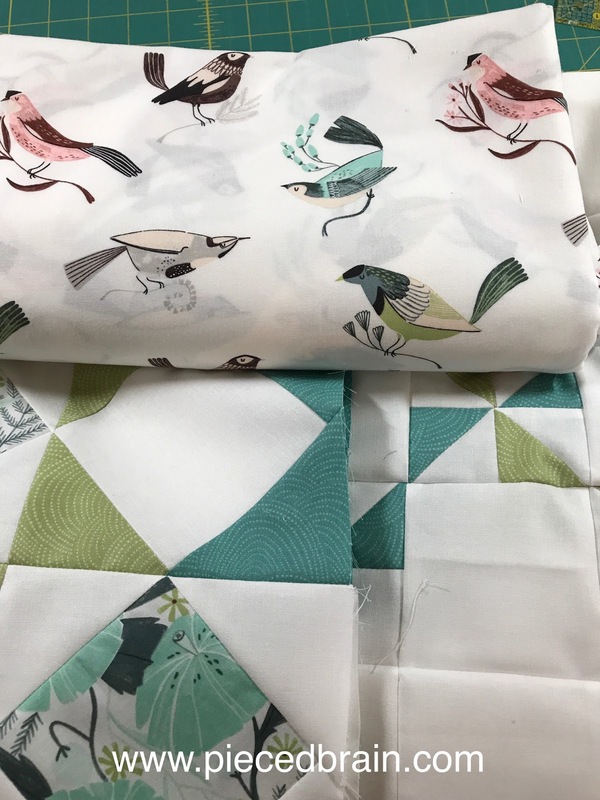 It is a square quilt with two easy blocks that finish at 15". I am assembling them today and hope to have them ready for the quilter by the end of the day. 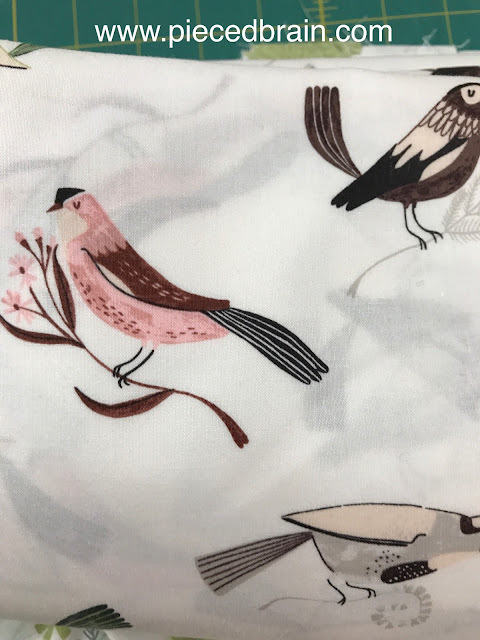 The fabrics you see are from Dear Stella Fabrics' Perch line. Yes, you saw it featured on my downloadable quilt pattern called Nature Sweet. I really love the greens and gorgeous prints on this line so I am using it again. This is the fabric for the backing. As soon as the quilt is bound I will release the pattern and make it available for download on my Etsy shop, Quilterly. Speaking of patterns, I just got this, guys! Annie's is running this sale until tomorrow for 25% off pattern downloads. Check it out if you are looking for more ideas for projects. Enter keycode, 25OFF, at checkout through August 3, 2017. *Keycode 25OFF is valid through August 3, 2017, at 11:59 p.m. ET, only at AnniesCraftStore.com. Discount of 25% will only apply to pattern downloads. Discount not valid on streaming classes. Only one keycode can be used per order. Keycodes cannot be combined. No price adjustments on previous purchases. Orders that use keycodes are not eligible for future price adjustments. I will be visiting my family in Brazil next month so I am gathering all patterns I can for fun projects. Knitting, crocheting, sewing - anything goes! I love making handmade gifts for my family so, yes, I am working nights, too!